Peugeot hasn’t sold cars in North America since 1991, and its now-partner Citroën ducked out a few years before that too. Aside from weirdos like us who openly lust after a Cactus, it’s probably fair to say most people haven’t missed them. 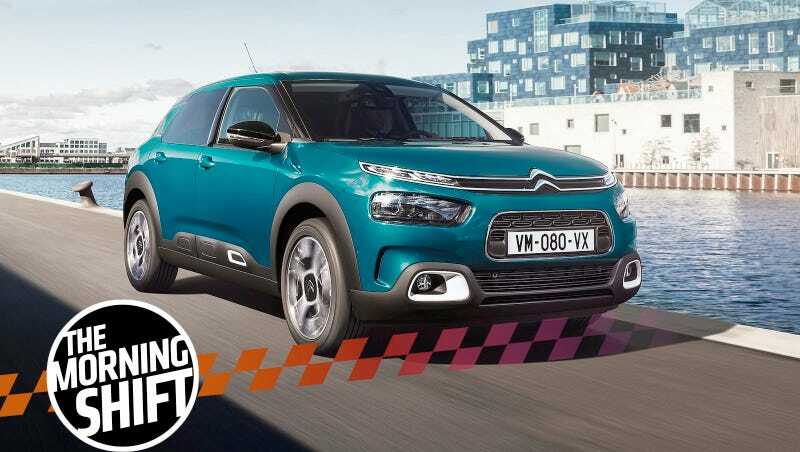 But the PSA Peugeot-Citroën Group seriously wants back in on this market, starting with low-volume sales and/or a ride-sharing model by 2026. To succeed in North America, PSA is starting at the engineering level, relying on engineers whose job had been to homologate U.S. vehicles for the European market. At the same meeting with reporters, Larry Dominique, CEO of PSA North America, said the company has hired Ben Winter, formerly of Ford and Fiat Chrysler Automobiles, as its chief technical officer. He will be responsible on the U.S. side for working with the engineers in Ruesselsheim. Perhaps this regulatory expertise takes some sting out of wanting half their money back from GM over that deal. NAFTA requires a vehicle to have a minimum of 62.5 percent North American content in order to benefit from tariff exemptions for autos assembled and traded in the region. The Trump administration has proposed raising the so-called auto rules of origin requirement to 85 percent North American content and add a new 50 percent U.S. content minimum. Gonna be interesting to see how this wraps at the end of this month. Duncan Aldred, vice president of Global Buick and GMC, said expanding the upscale subbrand is a way for Buick to better compete in the entry-level luxury market against the likes of Audi and BMW. Buick has had a ton of growth in the U.S. and in China as of late and the new Regal models look excellent. Even if truly competing with Audi and BMW is a bit optimistic for now, I’m eager to see what Buick does next. Two senators asked the U.S. Transportation Department on Thursday to explain why a “do not drive” directive issued last week by Ford Motor Co (F.N) is limited to about 2,900 older pickup trucks and if other vehicles are potentially at risk from defective airbag inflators. The National Highway Traffic Safety Administration should “swiftly and proactively address the deadly defect in Takata airbags and provide consumers with appropriate notice regarding the defect’s serious potential risk to life,” wrote Senators Richard Blumenthal and Edward Markey, both Democrats, to Transportation Secretary Elaine Chao. Either way, Takata airbags are the problem that will never go away! Good lord, that’s like everyone! There’s a full list of cars in that story link above—it’s a long one—but to see if your vehicle is involved, go to www.nhtsa.gov/recalls and enter your VIN. Neutral: How Do The French Succeed In America? Besides the Cactus, which is wonderful, what can Peugeot-Citroën offer that no one else is doing? The market’s getting crowded with luxury cars, electrification, autonomy and ride-sharing plans as it is.